PEAK EXPERIENCE: Article by Don Estes about the “transformative” state of mind. SENSORY SCIENCE: Article by Don Estes about the science of sensory technology. SENSORY RESONANCE AND HRV: Article by Don Estes about the relationships between brain and heart variability and the various states of mind. MEMBRANES OF LIFE: Article by Don Estes about superstring theory, vibrating membranes, and HRT…an new futuristic, next generation supercomputer bio- metric analysis and natural resonance biofeedback therapy. THE BEAUTY WITHIN: Article by Don Estes about how the way one thinks and feels on the inside can improve how they look on the outside better than anything that can be done to outwardly change appearance. HARMONIC LAW: THE SCIENCE OF VIBRATION: Encyclopedia of Vibrational Science by Don Estes…a compendium of information about the physics of vibration, music/color/aroma/ light/vibrotactile/sound therapy, harmonic laws, human biometrics, and spiritual technology. THE ABSOLUTE SCALE OF RELATIVE COSMIC REALITY: Large wallchart illustration for the book above by Don Estes about the Universal Rhythm of the Square Root of Minus One. Links to News, Radio, Television, Internet, Books, and other Sources related to our research, development and marketing. The Elegant Universe: Storyline from the NOVA television series regarding Brain Greene’s new book The Elegant Universe…the latest and simpliest explaination of SuperString Theory…the cutting edge physics theory about how the universe and all the matter in it was formed…or perhaps…created? Superstring theory describes how all matter in the universe is made from incredibly tiny strings rather than the point like particles suspected earlier. These strings are vibrating in different musical patterns…12 to be exact, just like the chromatic music scale. Cellular Sound: An article in the LA times about how scientists have discovered specific vibrational signatures from different kinds of cells like yeast. The same thing is also true of the cells in the human body. We have been teaching this for years that sound/ultrasound is the vibrational spectrum of cells and this fact appears on the Absolute Scale of Relative Cosmic Reality Chart at (X-50). Faith & Pain: An article in the LA Times about how Faith is the ultimate arbitrator of pain. In other words, a person’s belief system determines how well they respond to any particular therapy or treatment. Hypnotic Reach: An article in the LA Times about doctors finding that meditative and altered states of mind aid in healing. Consciousness as a Hologram: An article comparing Karl Pribram’s Holographic Brain Theory with more conventional models of neuronal computation. An excellent explanation of how the information about something can be stored in the Spectral Domain. Harmonic Law: The Science of Vibration – An encyclopedic compendium of vibrational science, Don Estes, Harmonic Law Publications, InnerSense, Inc.
What is Harmonic Law? 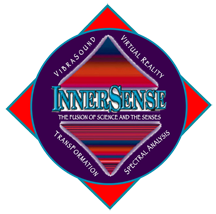 – InnerSense Archive, Don Estes, Harmonic Law Publications, InnerSense, Inc. The Great Diesis Archives – Our archive describing the Algorithmic Journey to Harmonic Resolution. God is the Machine – The machine like aspect of divinity. – http://www.wired.com/wired/archive/10.12/holytech.html, Kevin Kelly, Wired Magazine. Quantum Theory and Human Consciousness – Microtubule automata – http://www.rand.org/pubs/monograph_reports/MR1139/MR1139.appb.pdf, Stuart Hameroff et al. At Home in the Universe: The Search for Laws of Self-organization and Complexity – M. Mitchell WaldropOxford University Press, 1995. Kaufmann explains his ideas about how various forms of complexity, including life itself, can arise from simple rules. The “Edge Of Chaos” idea plays a large role in his thinking. Computation at the Edge of Chaos: Phase Transitions and Emergent Computation – Stuart KauffmanIn Emergent Computation, edited by Stephanie Forest. The MIT Press, 1991. Pages 12-37. This is a technical paper in which Langton explains his investigation of one-dimensional cellular automata and discusses his “lambda” parameter. NEW!!! How Algorithms Shape Our World – Kevin Slagin – 2011. A TED talk presentation about how algorithms are teh language of the natural world, how they shape the world around us and allow us to communicate on vastly superior levels by making it possible to handle large amounts of data (manifold) simultaneously. How they ARE the natural world. Human Transformation: The science of intention, Dr. William Tiller Ph.D. The Lie About the Secret – http://www.greatdreams.com/sacred/lie-about-secret.htm, Dee Finney. The Square Root of Minus One is the Mind Matter Link – http://home.inreach.com/whranch/David/newsqrt.html, David Hatch.